Juul Labs Inc. has decided the time is right to make a move into Canada, doing so as the electronic cigarette company’s popularity and concerns about its appeal to teenagers has it facing scrutiny in the United States. San Francisco-based Juul is expected to announce its launch in Canada on Thursday, with the start-up saying it aims to provide the five million or so smokers here with a healthier alternative to their usual cigarette: the Juul. The U.S. Food and Drug Administration today announced that all 17 manufacturers, distributors and retailers that were warned by the agency in May, have stopped selling the nicotine-containing e-liquids used in e-cigarettes with labeling or advertising resembling kid-friendly food products, such as juice boxes, candy or cookies that were identified through warning letters as being false or misleading. The warning letters – many in partnership with the Federal Trade Commission – are part of ongoing efforts to protect youth from the dangers of nicotine and tobacco products. Several of the companies that received warning letters had also been cited for illegally selling the products to minors. 22nd Century Group, Inc. (NYSE American: XXII), a plant biotechnology company focused on tobacco harm reduction and Very Low Nicotine tobacco, announced today that the National Institute on Drug Abuse (NIDA), the U.S. Food and Drug Administration (FDA), and public health researchers have requested a new, significant quantity of 22nd Century’s proprietary SPECTRUM® research cigarettes. In coordination with NIDA, FDA, and others, RTI International has submitted an order to 22nd Century for 3.6 million SPECTRUM® research cigarettes. Finance Committee approves taxing IQOS electronic cigarette as regular cigarettes – after year-long battle. The Knesset’s Finance Committee approved on Sunday a law applying Israel’s tax on cigarettes to Philip Morris’ IQOS electronic cigarettes. The move comes after a year-long battle, fought by Israel’s Avir Naki (literally “clean air”) organization, “Smoke Free Israel,” the Organization for Progressive Democracy, and bipartisan MKs, against Finance Minister Moshe Kahlon (Kulanu), who categorically refuses to raise taxes or apply them to items not previously taxed, and Finance Committee Head Moshe Gafni (UTJ). San Francisco vaping start-up Juul Labs has already taken the US by storm and looks set to exceed its initial “aggressive” sales targets for the UK, but analysts say the ecigarette maker’s meteoric rise might finally be curtailed by regulators and competition. Meanwhile, regulatory changes in the US may dilute the company’s dominance in its primary market. The US Food and Drug Administration is planning to develop an ecigarette product standard that could limit levels of nicotine in ecigarette liquids and result in the removal of existing products from the market. This could “make it harder” for companies such as Juul to take market share, said Owen Bennett, analyst at Jefferies. Eclipse was Reynolds’ first national attempt at the heat-not-burn tobacco category. It is currently available in limited supply at wholesale and retailer request. 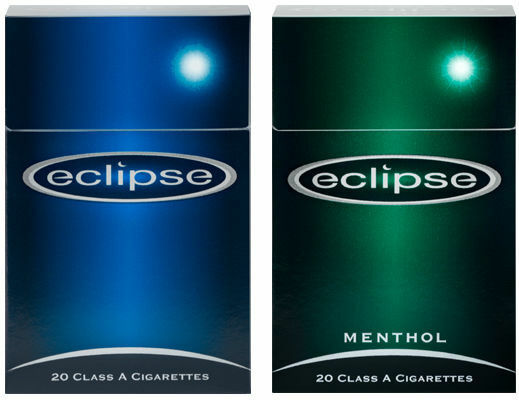 FDA spokesman Michael Felberbaum said Reynolds received market authorization for Eclipse and Eclipse Menthol. “The order letters and summary reviews, which include the scientific basis for the action, will be posted on (Center for Tobacco Products’) website as they become available,” he said. Eclipse was Reynolds’ first national attempt at the heat-not-burn category, developed in the 1990s and in distribution from 2003 to 2007. BAT is using the brand name Neocore for global purposes. Project Summary Following the passage of the Family Smoking Prevention and Tobacco Control Act, the United States Food and Drug Administration (FDA) banned cigarettes flavored with fruit or candy, but specifically excluded menthol from this ban. With the FDA recently extending its authority to electronic cigarettes (i.e., e-cigarettes), the ability to enact regulations regarding the availability of flavorants (including menthol) will extend to these products as well. As there is limited information currently available on how menthol flavoring in e-cigarettes affects overall tobacco use, there is little scientific basis available upon which to formulate regulations regarding menthol flavorant in non-cigarette forms of tobacco. The proposed study will obtain preliminary information regarding how a menthol ban that either exempts or includes e-cigarettes is likely to affect overall tobacco use. In this study, menthol cigarette smokers will over a 6 week period be assigned to one of three conditions: 1) a condition simulating a ban on menthol cigarettes but not menthol e-cigarettes; 2) a condition simulating a ban on both menthol cigarettes and menthol e-cigarettes; and 3) a condition in which menthol is not banned for either product (i.e., the control condition). Participants will be able to use any products that are available in their randomization group and all participants will have medicinal nicotine available should they decide to quit tobacco products entirely. Over the six week period, tobacco product use, motivation to quit, number of quit attempts, and support for a menthol ban will be assessed. Data from this pilot study will be used to plan larger studies examining how menthol flavor in e-cigarettes affects tobacco product use patterns and toxicant exposure among smokers. This work is innovative as previous studies have not evaluated the impact of regulating menthol in cigarettes while exempting e-cigarettes. It is significant in that it begins to provide a scientific base for evaluating if menthol flavoring in e-cigarettes should be regulated differently than in cigarettes. Minneapolis (8/8/18) – E-cigarettes, which have surged in popularity among Minnesota youth, will soon carry a federal warning. The U.S. Food and Drug Administration (FDA) will require warning labels on e-cigarettes and certain other tobacco products beginning Aug.10, 2018. Minnesotans for a Smoke-Free Generation – a coalition of more than 60 organizations working to reduce youth tobacco use – hopes the labels raise awareness of nicotine addiction among kids. The 2017 Minnesota Youth Tobacco Survey found youth tobacco rose for the first time in 17 years, driven by an explosion in e-cigarette use. Is FDA’s War on Juul an Effort to Limit the Vaping Industry to Established Companies? Conceived as a way for addicted smokers to kick the habit, e-cigarettes and vape pens — particularly the sleek, USB-shaped Juul — have become increasingly popular with younger users across the country. Unlike earlier models, Juul markets itself as small, rechargeable, and easy to use — consumers change out flavored “pods” filled with a cigarette pack’s worth of nicotine to ease their cravings. From middle schoolers to adults, the Juul’s popularity does not discriminate, generating $224 million in sales in one year. By: Scott Gottlieb, M.D., and Mitch Zeller, J.D. Editor’s Note: Cross-posted from the Counterfeit Cigarette Enforcement Forum.